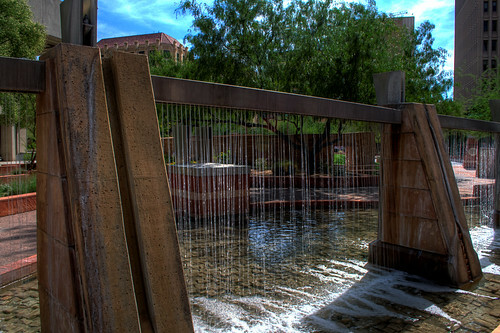 Tonight’s post is another group of HDR images from last Sunday’s photo walk around downtown Phoenix. It’s quite a variety, so let’s get started. I don’t care how energy-efficient and high-tech our new office buildings and churches are, they just can’t compare with the beauty and dignity of these older structures. 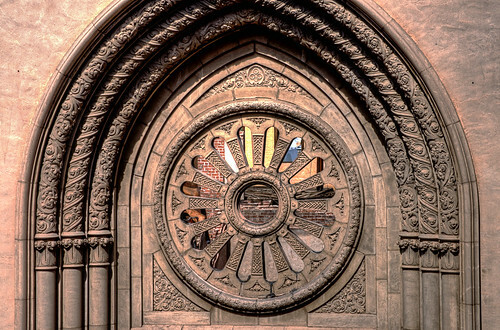 Even after a fire, the shell of First Baptist Church still impresses with its intricate architectural details. How many of our glass-and-steel buildings of today will still be impressive a hundred years from now, even without a fire? Each of these images was created from a bracketed series of three photos (-2.0/0.0/+2.0) taken with my Nikon D5000. 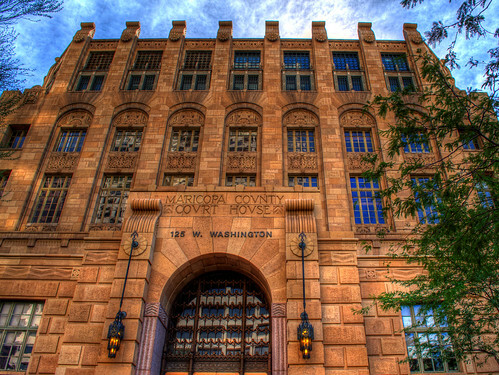 I used Photomatix Pro v3 to produce the HDR image, and then post-processed in Paintshop Pro X3 to tweak the brightness and contrast, and I used the Curves tool to modify the color balance slightly. 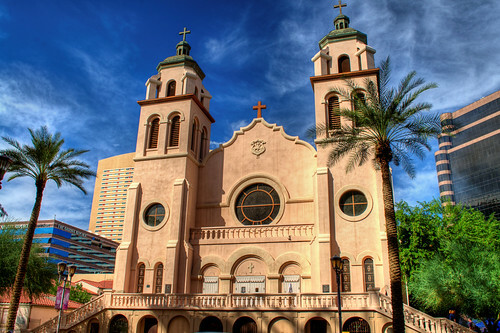 This entry was posted in Information, Processing, Shooting and tagged architecture, Arizona, AZ, camera, church, courthouse, D5000, First Baptist Church, fountain, HDR, Maricopa, Nikon, Paint Shop Pro, Phoenix, Photomatix, software, St. Mary's Basilica, stained glass, water, window. Bookmark the permalink.